Before the automobile, before the Statue of Liberty, before the vast majority of contemporary colleges existed, the rising cost of higher education was shocking the American conscience: “Gentlemen have to pay for their sons in one year more than they spent themselves in the whole four years of their course,” The New York Times lamented in 1875. Only one country spends more per student, and that country is Luxembourg—where tuition is nevertheless free for students, thanks to government outlays. In fact, a third of developed countries offer college free of charge to their citizens. (And another third keep tuition very cheap—less than $2,400 a year.) The farther away you get from the United States, the more baffling it looks. This back-to-school season, The Atlantic is investigating a classic American mystery: Why does college cost so much? And is it worth it? At first, like the 19th-century writer of yore, I wanted to blame the curdled indulgences of campus life: fancy dormitories, climbing walls, lazy rivers, dining halls with open-fire-pit grills. And most of all—college sports. Certainly sports deserved blame. Spending a lot of money can be worth it, if you get something awesome in exchange. “America has the best colleges and universities in the world!” President Donald Trump exclaimed at the World Economic Forum in Davos, Switzerland, earlier this year. Former President Barack Obama said the same thing before him. Still, the return varies wildly depending on the college one attends. 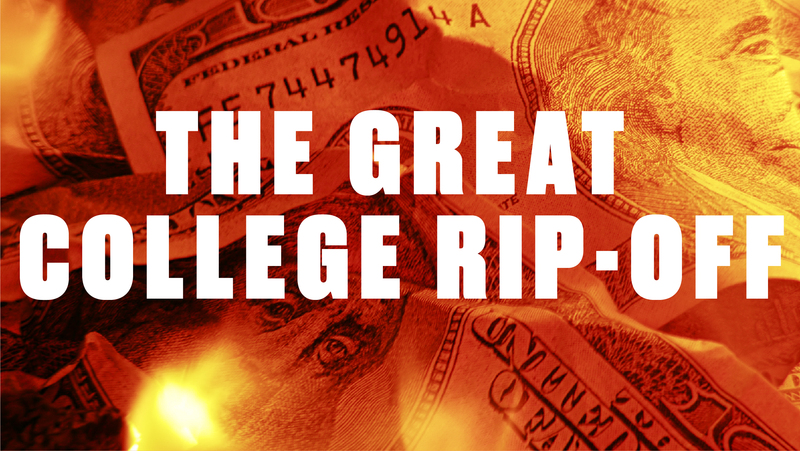 One in four college grads earns no more than the average high-school graduate. Associate’s degrees from for-profit universities lead to smaller salary bumps than associate’s degrees from community colleges, which are cheaper. And two-thirds of students at for-profits drop out before earning their degree anyway, meaning many will spend years struggling with debt they cannot afford to pay off—and cannot, under U.S. law, off-load through bankruptcy.